Welcome to our school's website! 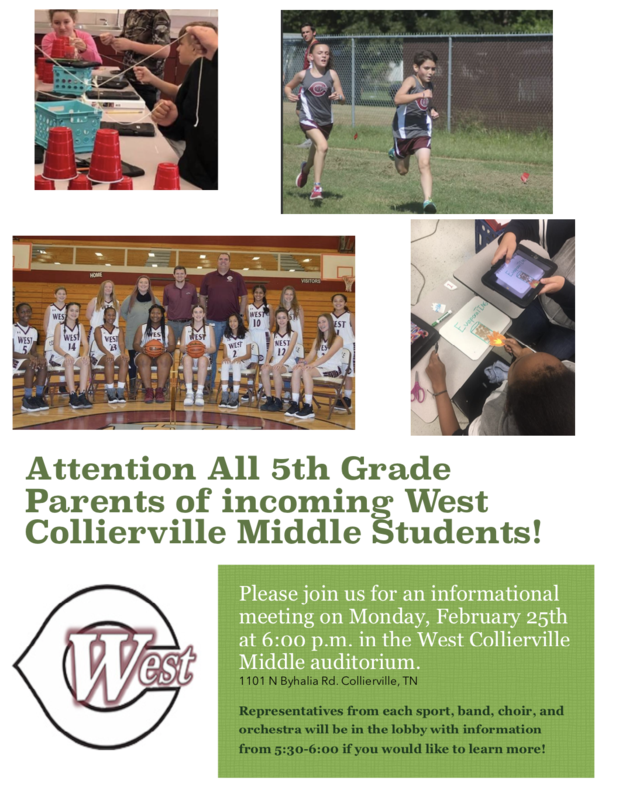 West Collierville Middle School will be holding this meeting in the auditorium on Monday February 25th at 6pm. Representatives from the sports and music organizations will be in the lobby from 5:30-6 for parents to review.